Synopsis (from GoodReads): A young seamstress and a royal nursemaid find themselves at the center of an epic power struggle in this stunning young-adult debut. On the eve of Princess Sophia’s wedding, the Scandinavian city of Skyggehavn prepares to fete the occasion with a sumptuous display of riches: brocade and satin and jewels, feasts of sugar fruit and sweet spiced wine. Yet beneath the veneer of celebration, a shiver of darkness creeps through the palace halls. A mysterious illness plagues the royal family, threatening the lives of the throne’s heirs, and a courtier’s wolfish hunger for the king’s favors sets a devious plot in motion. Here in the palace at Skyggehavn, things are seldom as they seem — and when a single errant prick of a needle sets off a series of events that will alter the course of history, the fates of seamstress Ava Bingen and mute nursemaid Midi Sorte become irrevocably intertwined with that of mad Queen Isabel. As they navigate a tangled web of palace intrigue, power-lust, and deception, Ava and Midi must carve out their own survival any way they can. I wasn't really sure what to expect from The Kingdom of Little Wounds. I've seen it shelved on GoodReads as historical fiction, a fairy tale, fantasy and paranormal. 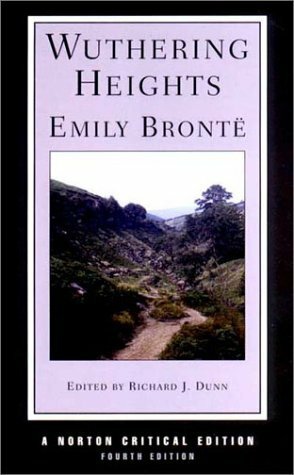 It is published by Candlewick Press (Walker Books in Australia), a publishing house that specialises in children's and young adults books, yet many reviews have suggested syphilis as a central metaphor. Generally speaking, young adult novels features characters and issues that the targeted demographic can understand. While two of the central characters are considered to be young adults, I'm not really sure the book's subject matter would be of interest to young adult readers. For the record, I would consider this title to be a general lit + fiction title, rather than falling exclusively in the young adult realm. However, I think the difficulty assigning a genre to The Kingdom of Little Wounds comes from the fact that it is completely different to a lot of what's out there. Admittedly, I picked up this book because of the cover design - it is stunning. The hardcover edition features a dust jacket that appears to have been inspired by something out of the Harry Potter films, and underneath features a copper foil design on the spine. I'm not usually a fan of page staining - I think it looks tacky - but I don't mind the burgundy-stained edges. I have a history of picking up beautiful books and being disappointed by the content. Never fear! Cokal is definitely talented - the writing is every bit as beautiful as the cover design. Cokal's writing is a throwback to 19th century British literature, the plot moving slower than what I expected and the unpleasant realities of life in 16th century Scandinavia on every page. At times it feels as if Cokal is describing another world; telling a story that doesn't belong in our universe. It is a story of another time, but seemingly for all times. The narration flips between Ava Bingen, a seamstress whose entire life changes after she mistakenly pricks the Queen with a needle, and Midi Sorte, the mute royal nursemaid who was taken aboard a slave ship from an unnamed part of Africa. There is also some third person narration, meaning we get a few more perspectives, including the ineffective King Christian V, secretly in love with a male advisor; the half-mad Queen who is accused of poisoning her own children; and the petty Princess Beatte, who is placed on the throne far too early and who appears to be a bloodthirsty psychopath. The book is also split into four volumes or parts, and each volume is begins with a little fairy-tale that somehow relates to the events of the upcoming volume. 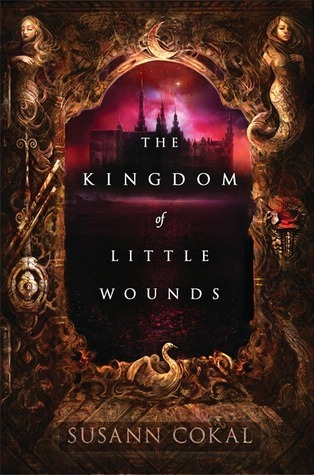 The Kingdom of Little Wounds tells quite a bleak story - it is startling to read about a ten-year-old Princess gleefully watching the executions of her citizens, or reading a fairy-tale about a woman cutting off her own body parts to cook for her daughter's wedding feast. The female characters are regularly dehumanised, and exist within an oppressive patriarchy that has routinely broken and shamed them. Cokal has created memorable characters that you become emotionally invested in and their stories ring with authenticity. Regardless of whether you are reading the story from the perspective of Ava or Princess Beatte, each character has their own distinctive voice, which is often difficult to maintain in a novel that has multiple narrators. The characters are flawed and three-dimensional, and even though they are not always likeable, you can't help but admire them. Nevertheless, this book is quite depressing and dark, and I found I had to read this book in small doses (it took me almost a month to read, which is quite slow by my usual standards, even with a book of this size). The book ends on a comparatively lighter note, so if its unrelenting darkness is overwhelming or putting you off - please know it does get a little better for Ava and Midi. In a show of female empowerment, the two band together in an effort to escape their oppressive lives at court and seek a better life elsewhere. It is amazing to watch the relationship between these two changes, especially because it begins with Midi disliking Ava and Ava longing to be friends with her. I would say give this book a go - while the violence is sometime gratuitous, the writing is beautiful and the characters memorable. It is one of the most original offerings in the young adult genre, and between The Kingdom of Little Wounds and The Strange and Beautiful Sorrows of Ava Lavender, I will definitely be keeping my eye on Candlewick Press/Walker Books' future releases.